Welcome to Laguna Beach High School (LBHS), home of the Breakers. Established in 1934, Laguna Beach High School is a 4-year public high school providing a first-class education to over a thousand students. 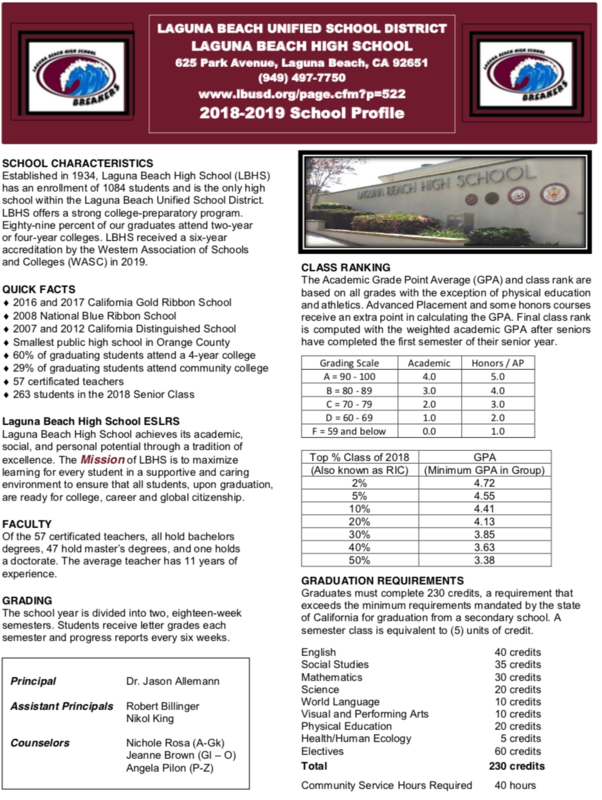 It is the only high school in the Laguna Beach Unified School District and is accredited by the Western Association of Schools and Colleges. LBHS students are afforded 21st century classroom settings and innovative instruction by nearly 50 members on the teaching staff. With a remarkable reputation within the education community and beyond, the staff of LBHS focus on continuous improvement through supporting EVERY student EVERY day. These efforts take place in a positive learning environment that embraces every opportunity as a chance for growth, development, and progression. 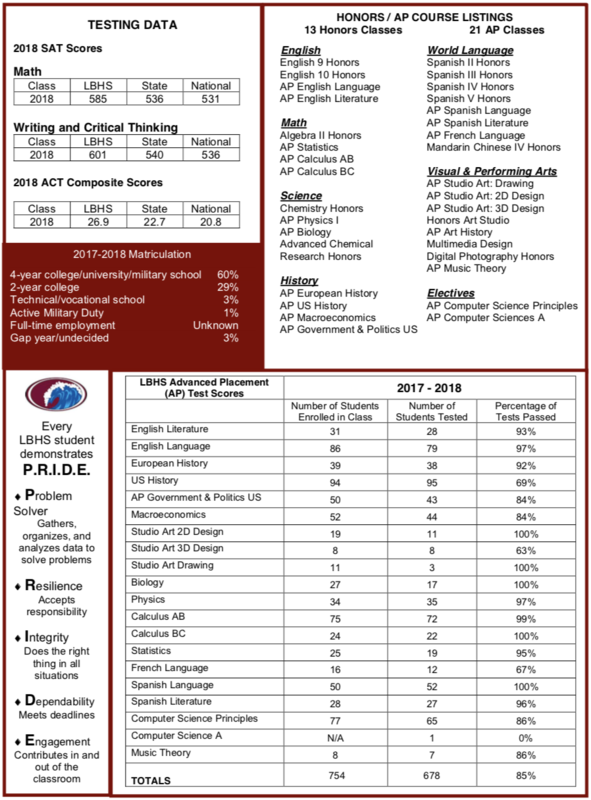 LBHS offers a strong college-preparatory program with 48 percent of students participating in Advanced Placement coursework and exams. Ninety-two percent of graduates attend two-year or four-year colleges. LBHS is ranked 113th in California.